answered and that you are as comfortable as possible. for science and using his hands led him to The University of Pittsburgh School of Dental Medicine where he received his Doctor of Dental Medicine. Dentistry. 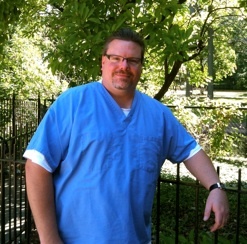 Dr. Lindow has now practiced in Eaton Rapids for over 28 years. A former adjunct faculty member of the Lansing Community College Dental Hygiene Program, Dr. Lindow is also a member of the American Dental Association and the Michigan Dental Association. Dr Lindow and his wife Tara have two children and three dogs and enjoy kayaking and biking in northern Michigan. Dr Lindow also enjoys playing and recording music in his spare time.